Well, well, it looks like I'm back to discussing League of Legends on PopMatters this week. This is actually more of an exploratory piece about the feeling of a live competitive eSports event. 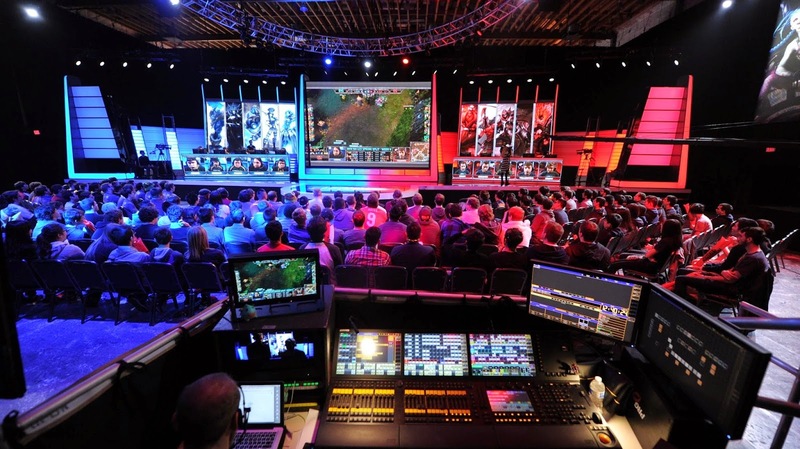 I have never been to EVO or a Dota 2 live match, but based on video I've seen, I suspect they all sharply contrast with the game-show like atmosphere in Riot's Manhattan Beach studio. When I try to imagine what eSports might look like in ten years, I don't really know what to compare it to. Will it be the scrappy DIY aesthetic in a massive scale like EVO does in Vegas? Will it mirror the respectful tone of a golf or tennis match? Or will it become a reckless screaming match more akin to wresting? In some ways, each of these are already represented at live League of Legends matches. My biggest concern by far is whether or not live eSports can become a welcoming and diverse atmosphere for everyone to enjoy. Fighting game tournaments, while often more racially diverse than other gaming cultural events, are notorious for their unwelcoming atmosphere, particularly for women. In the same way you might not bring children to a late night Oakland Raiders game, competitive gaming as a spectator sport may become an exclusive adults-only haven for rowdy sub-culture. Right now, Riot has put in a lot of effort into making their League of Legends events accessible, but its fate is far some sealed. Likewise, League will not always be the game brings in the crowds. A healthy life eSports scene needs to be welcoming and safe with all venues and, ideally, all games. There are still plenty of growth opportunities for the growing sub-culture. I'm sure I'll have more thoughts on the subject after checking out the North American Regionals at PAX later this weekend.